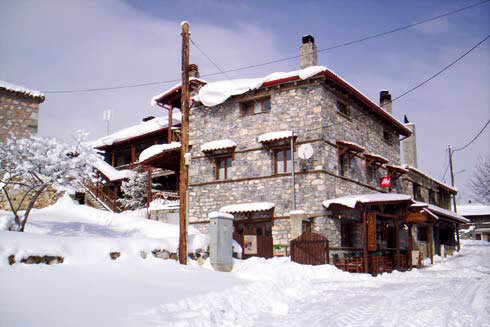 Just 16 km away from the ski resort of Vorras of Kaimaktsalan and in the center of the most famous and popular village of Agios Athanasios, is the Patriko Hotel. One of the most beautiful traditional venues with all modern amenities, which is constantly evolving in order to be kept permanently in the list with the most traditional hotels. 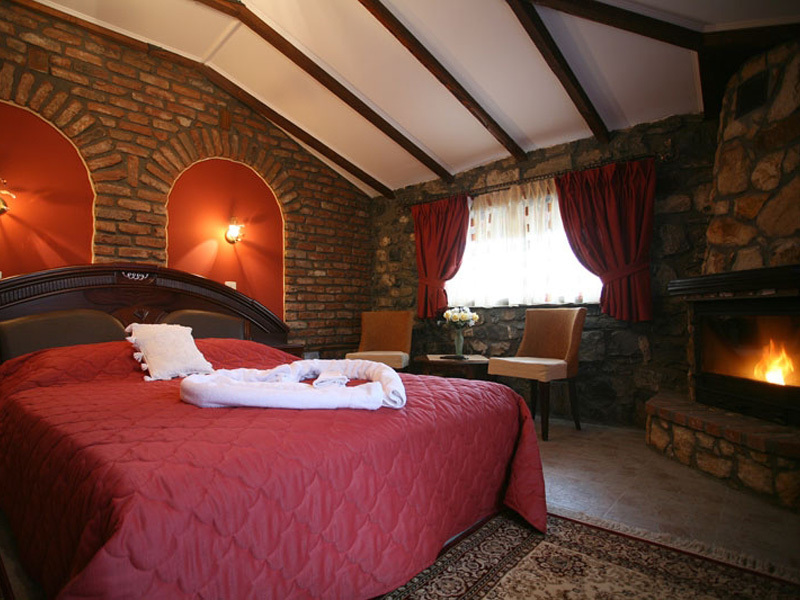 Large and comfortable rooms provide to visitor what he really needs. Mansions beds made with wood and leather, fireplace, satellite plasma TV, heating, hydro massage cabins, Turkish bath, aromatherapy music (in most rooms) for hours of relaxation. 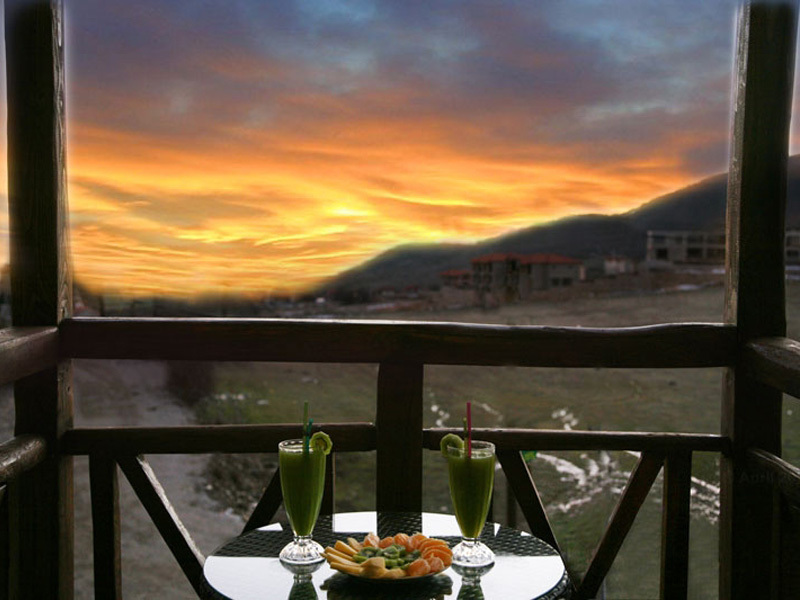 A new creation of Patriko hotel is the Patriko Resort. To the 10, fully renovated rooms in 2007, 8 other Luxurious rooms have been added. 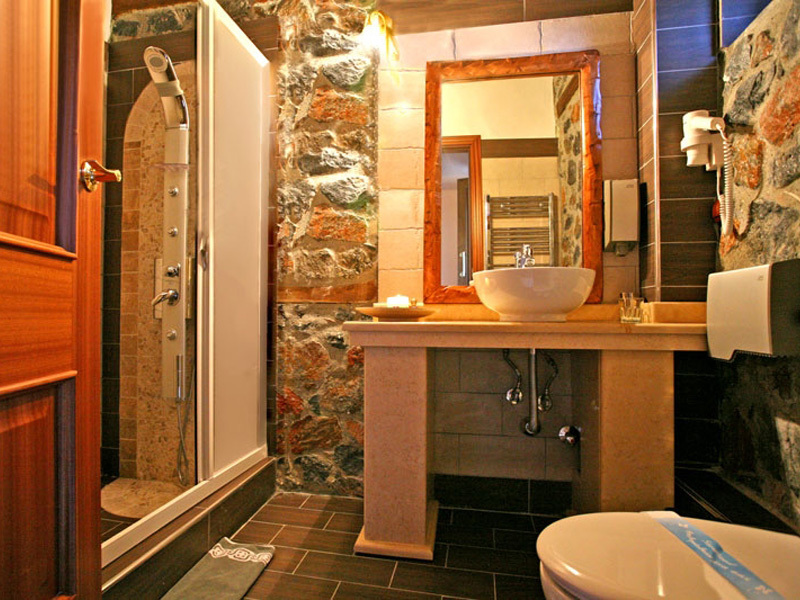 All the magic of the accommodation hides in the 2 apartments - suites and in the red loft - a real gem of Patriko Resort. The rooms are equipped with satellite plasma TV, with a fireplace, leather beds, hydromassage, mini bar, independent heating and balcony with spectacular views. 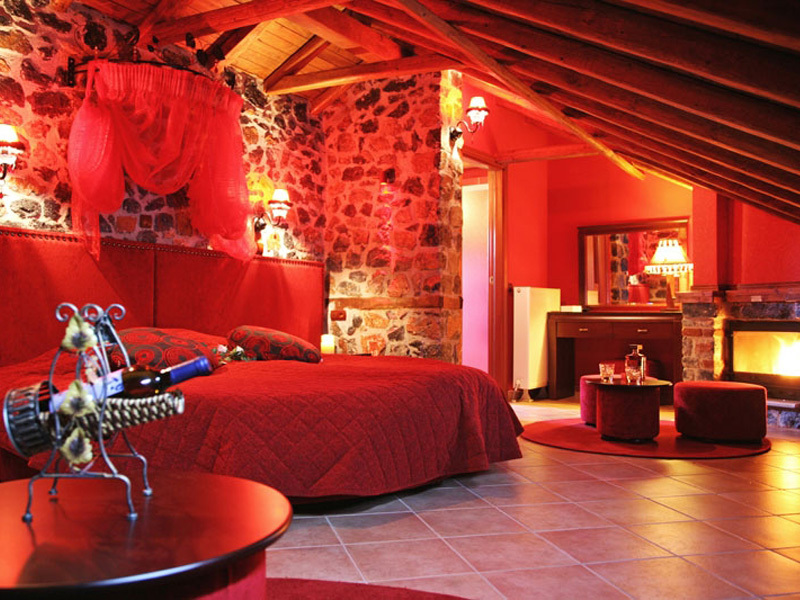 The presentation of the Red Loft is difficult.... A room ideal for honeymooners, with ample space, ambient lighting and a round bed that surpasses even the craziest imagination. The Jewel of the hostel is the café that “steals” all the impressions. Known for the quality and the services are offered, it always comes first to customers’ preferences. 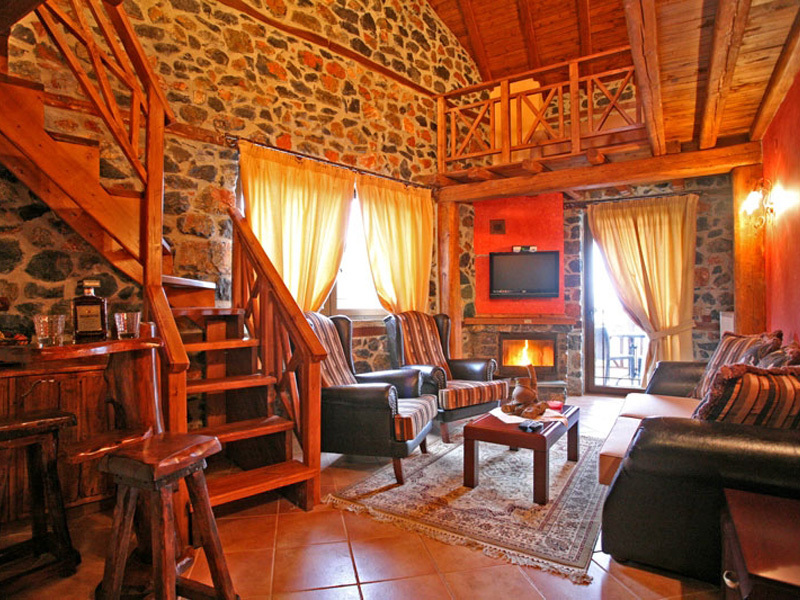 And in this area, as in the hostel rooms, the stone and the wood dominate. You really must try one of the 40 delicious chocolate flavors, the fondi and the delicious beverages. 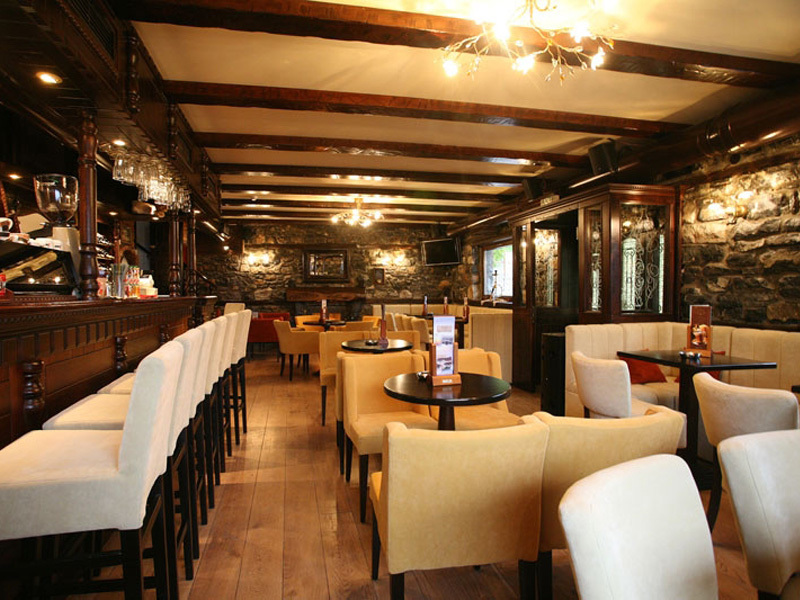 Late in the evening, enjoy a drink or a glass of wine you will choose from the extensive wine list in front of the fireplace, listening to the truly unique music, which is one of the many reasons which make famous the “PATRIKO” cafe.